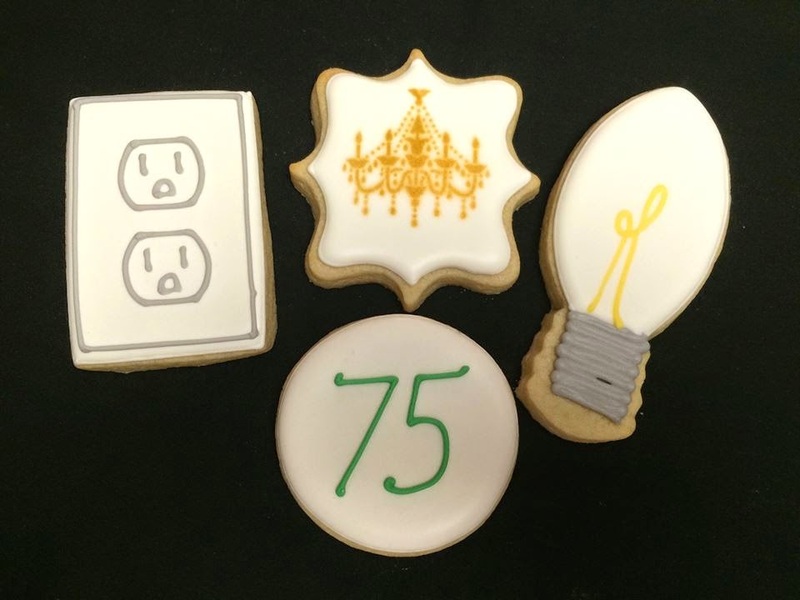 Enlightening (Residential Lighting Blog): More 75th Anniversary Fun! Another week, another exciting cookie announcement! This week it's Sugar Cookie Creations! I can't get over how cute these are! The chandelier cookie might be too beautiful to eat! "Sugar Cookie Creations produces beautiful homemade sugar cookies for all occasions. Each cookie is hand-decorated and can be customized to your specific needs. We use only fresh ingredients. You never outgrow cookies!" She used 30 pounds of butter to make us 800 cookies! Come visit us this week to get one! So please come visit any of Dominion Electric Supply's 8 locations and help us celebrate being family owned and operated since 1940!